We took a deep dive into Sanoma’s newspaper delivery service called EarlyBird. The service is essentially a crowdsourced model for newspaper deliveries. We familiarized ourselves with the context of the market, observed the users and process, and provided both some short and long term suggestions. Sanoma is the biggest media house in Finland. Their core business is in newspapers of which Helsingin Sanomat is the pride and joy, but the company also owns television and radio channels among other areas. While the company has a strong heritage in Finland, it also operates abroad. Our main challenge in the project was to get some insight in how the service would scale going forward from the testing stage that it is in at the moment. We needed to figure out what the trends in the market were and how to reach the people who would benefit from the service. In order to make the service reachable and attractive, we also had to think about how to make the service as easily approachable and usable as possible since that is an important condition in making the gig economy work. 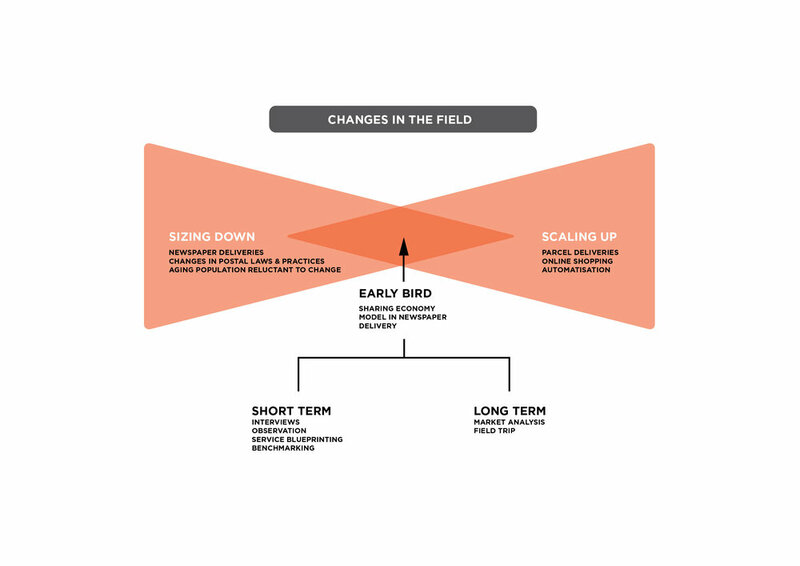 Our initial brief concentrated mainly on scaling and advancing the current model of EarlyBird. However, we decided to expand the scope and also looked at new possibilities and strategies within the logistics business and last mile deliveries. In the first month of the project, we clarified the direction for the project more clearly together with Sanoma. After the New Year, we started mapping out the local and global logistics market as well as relevant benchmarks. In February we concentrated on the current service and its users by conducting a ride along as well as multiple interviews. In the early spring, we looked into the long term strategies and solutions, as well as organized a workshop tackling software development. In April we conducted a research trip to Japan where we visited a fair and some logistics companies developing automated systems for last mile deliveries. May was spent wrapping up the conclusions and suggestions for the final deliverables. During the project, we used user observation as a tool to get a complete representation of how the service works instead of just the understanding we got from the brief. An equally important part in forming this understanding was the interviews we conducted both with users and with the people at Sanoma. To find inspiration and learn the trends of the industry we did some benchmarking of companies both from the more traditional realm of logistics, as well as companies relying on the gig economy for their operations. 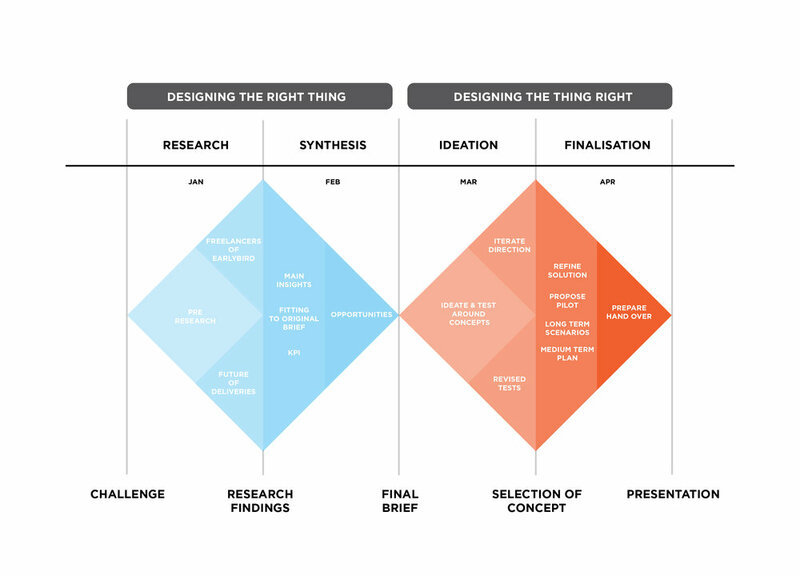 Towards the end of the project, we also mapped out a general service blueprint, that clarified the required processes in different stages of the service. We also conducted a workshop with the company which aimed to allow them to utilize some of the methods we had used even after our team had left the loop. We traveled to Japan to get a glimpse into how the country that likes to automate everything is planning on dealing with the last mile problem in the years to come. Japan also has the highest newspaper subscription rate per capita in the world, which means that it was a fruitful destination for us. 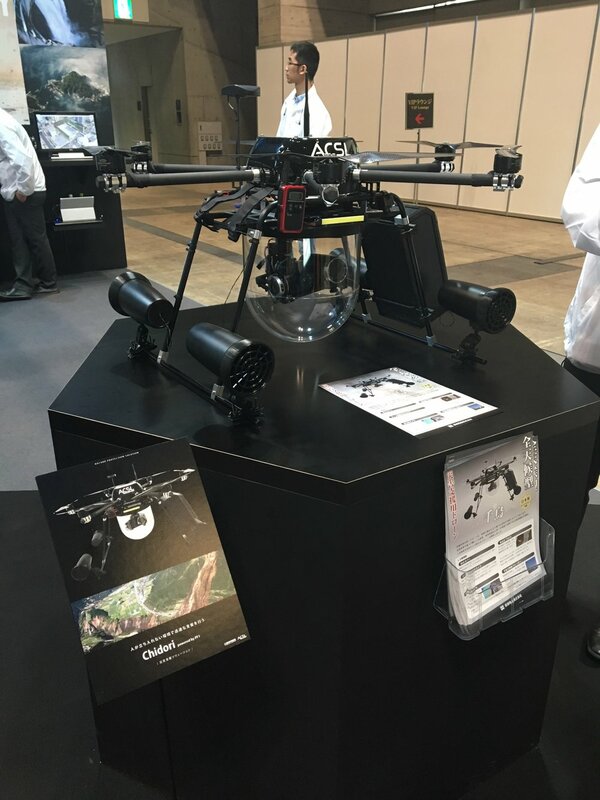 We visited a drone fair as well as a company that is performing tests with drone deliveries and aims to provide standardized drone delivery solutions in the near future. We also visited Yamato Transport, which is the biggest delivery service provider in Japan taking packages from door to door. The purpose of the trip was to get a better sense of the future of the market that is deliveries. Which are the things that people will need to have delivered, and what are the tools and methods that will get that thing where it needs to go? As an outcome of the project, we presented a package of suggestions including tactics at both operational and strategic level. The final proposal consists of both suggestions that could be implemented quite quickly and suggestions that looked at the challenges from a longer time perspective. As the specific solutions and outcomes are subject to an NDA we cannot present them further, but we believe that our material and conclusions will help Sanoma in taking EarlyBird to the next level.